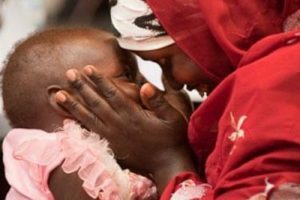 Thousands gathered in Senegal yesterday for the opening of the second International Conference on Family Planning (ICFP), the largest meeting of its kind, which will run until December 2, 2011. The objective of the groundbreaking meeting is to push forward an agenda for broad family planning access and support across the globe. The outcome of the conference could be life changing for the more than 215 million women worldwide without access to family planning. This is a historic opportunity to put family planning on the forefront of the global development agenda and shape the future of health, development and security worldwide. As the population has now surpassed the seven billion mark, the empowerment of women and access to contraception for all has become more vital than ever before. “Now is the time to prioritize family planning – as a strategy to reduce maternal mortality, to improve the lives of women and their families, and ultimately, to enable broad and enduring economic development,” said Dr. Amy Tsui, Director of the Gates Institute for Population and Reproductive Health, Professor at Johns Hopkins Bloomberg School of Public Health, and a lead conference organizer. The historic four-day conference features more than 140 plenaries, sessions and panels that will share latest research, proven strategies, and lessons learned in addressing the massive need for contraception worldwide. Participants will seek to galvanize greater political and financial support, hold governments accountable for their commitments, and champion contraceptive innovation and access. As the conference opens today, the need for family planning access, affordability and effectiveness has never been greater – but nor have the solutions been more attainable. The wealth of scientific knowledge, family planning experience and critical discussions at ICFP will help ensure that universal access to family planning becomes a reality. Some of the topics to be covered at the conference include: the prevention HIV through multi-prevention technologies (MPTs) that protect against HIV and act as contraceptives; the importance of the use of mobile phones in family planning; and engaging youth in family planning efforts. A full list of conference sessions and abstracts can be found on the ICFP website. The conference will also coincide with World AIDS Day, Thursday, 1 December, which will hopefully give more weight and impact to recent research suggesting a link between hormonal contraception and HIV. As the conference comes to a close on Friday, 2 December, advocates will call on global leaders to allocate the needed funding and political will necessary to address the large gap in the need for family planning across the globe. The ICFP is co-sponsored by more than 30 international organizations, including USAID, DFID, AFD, UNFPA, WHO, European Commission, World Bank and the Bill & Melinda Gates Foundation.